How many time do you want a lamp that can be adjusted in intensity??? Of course you can buy it but why not to make yourself one as you like (homemade) and have the satisfaction that you made something by yourself. The halogen lamp is not very efficient and so we recommend a LED lamp , or what you find at your store, but be carefully to be capable dimming. The mount base (GU 10 or GU 5.3 or anything you can find, but to be compatible with the lamp) remain at your own decision. 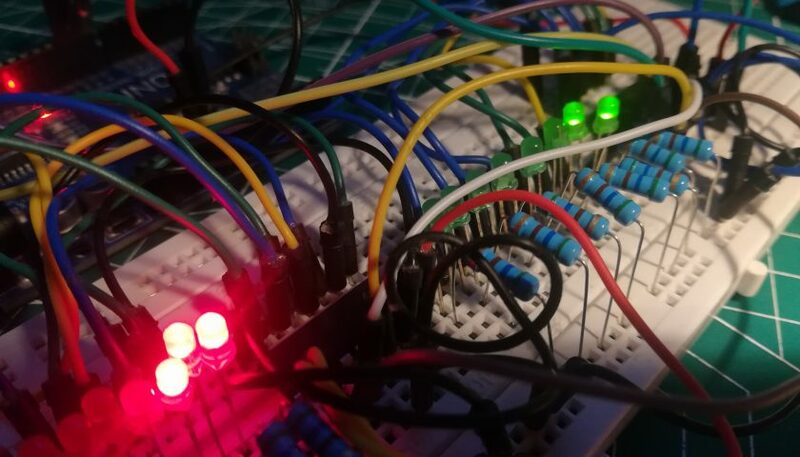 Because sometimes we want to dim the lamp, we try with an Atmega 328 and anothers components to reduce the intensity with a potentiometer. 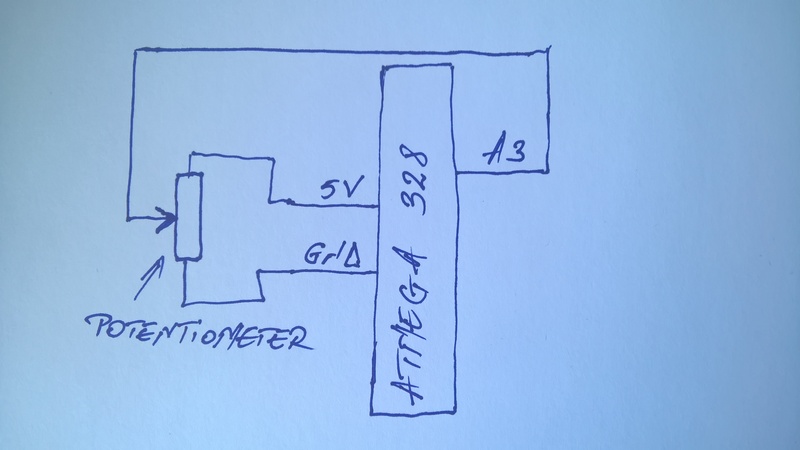 The atmega 328 has the PWM option, so we will chop the tension until the intensity we want. To chop the tension we will use a transistor. 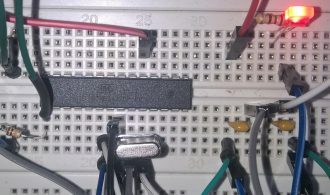 An article about Atmega328 sandalone you have here. Before we start we recommend to read about PWM here. 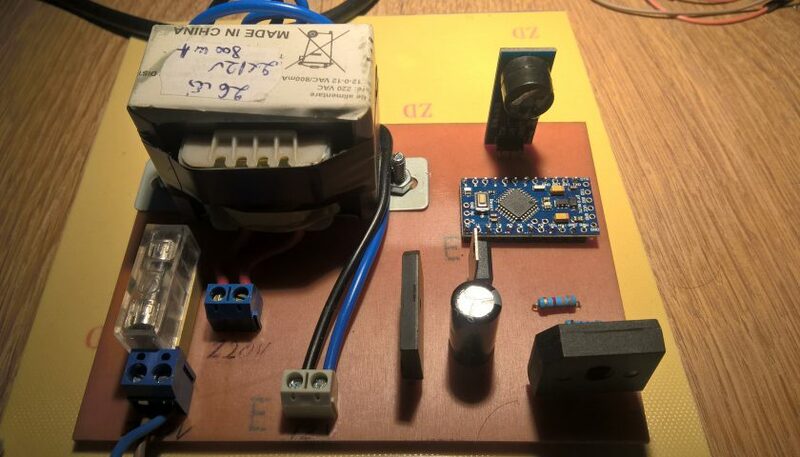 At 16W power the lamp will absorb 1.4 Amps, so we have to place a transistor capable to manage the 1.4 Amp. 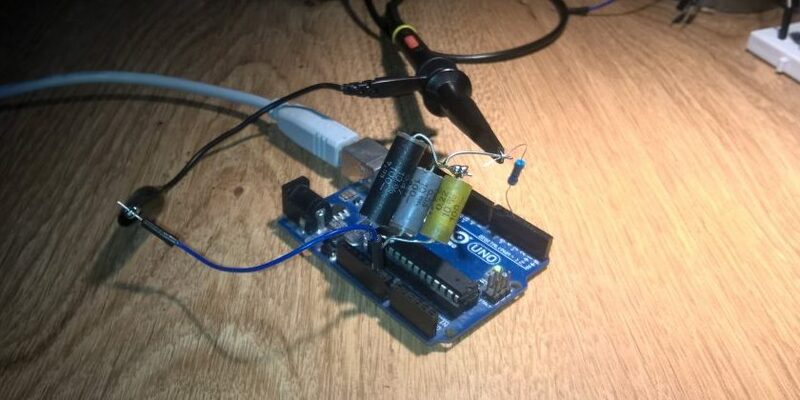 For this we use a 2SK2648 (from an old PC power source, datasheet here), a MOSFET with n canal that can support a 9 Amps, more than sufficient. 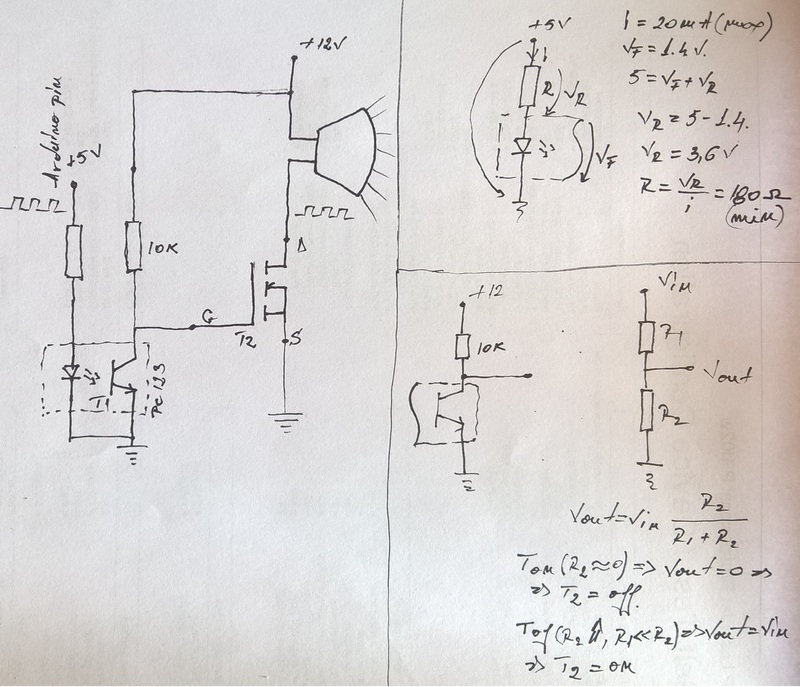 An important characteristic of MOSFETs is RDS(on)= f(ID and VGS), the resistance of mosfet when it is in conduction. Another characteristic unlike the bipolar transistor is that the mosfet need a tension on the gate bigger than 10 volts, we will use 12 from power source. Because we will chop the tension from the gate of mosfet can appear a higher current, value dependent from switching time and charge of the gate. From the VDS=f(Qg,VGS) chart for a 12 volts tension the Qg is around 10nC. 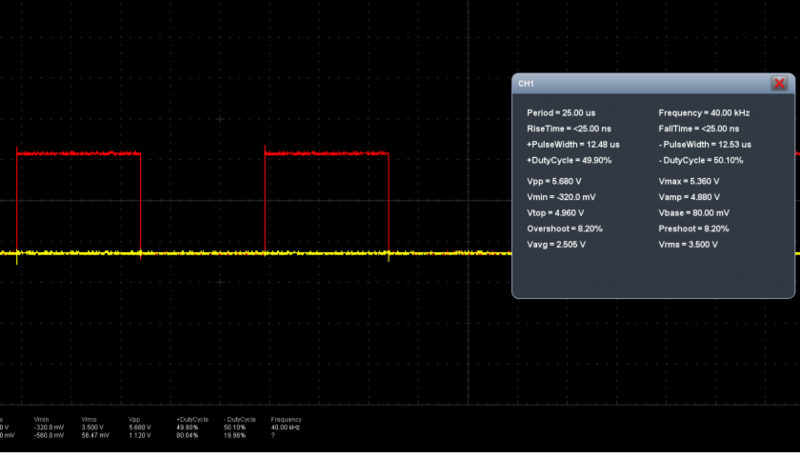 Because the PWM of atmega 328 has a switching frequency about 500Hz we have a switching time around 2 ms. The current is I=Q/t, around I=5uA. 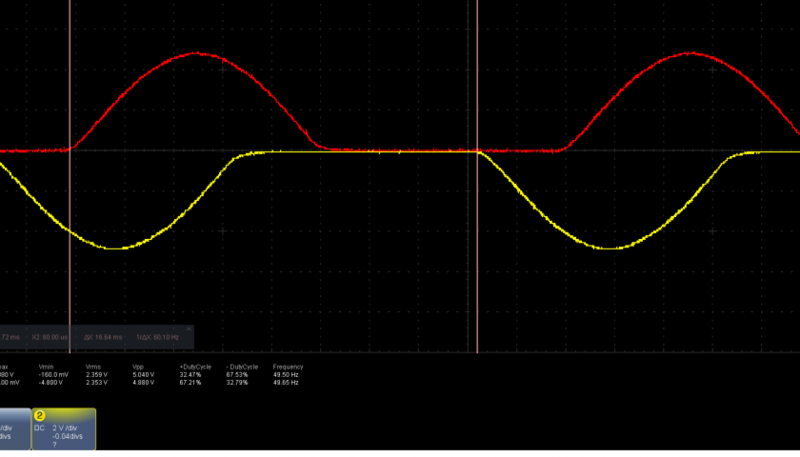 You can observe if we have a switching frequency higher the current is also higher. Why we have calculate this value??? 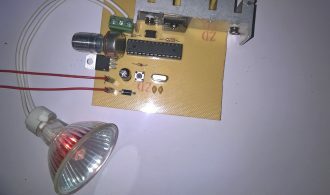 To protect the microcontroller we use a optocoupler which has a limit of switching current. We choose a PC123 (datasheet here). 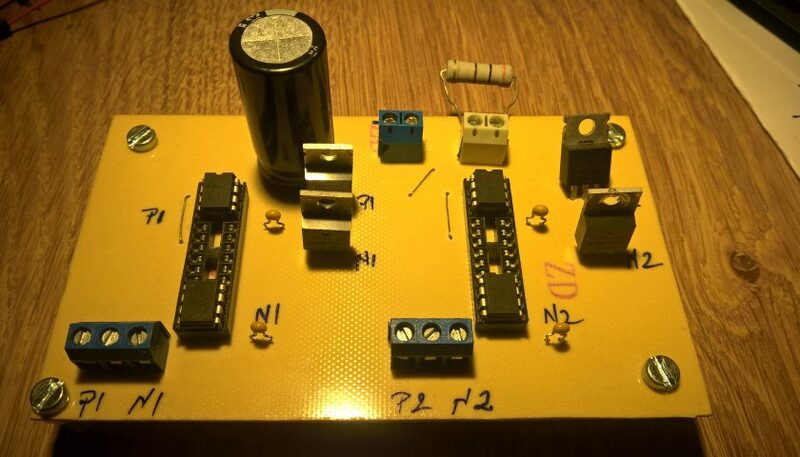 This component let us to control the mosfet without a direct contact between atmega and lamp. 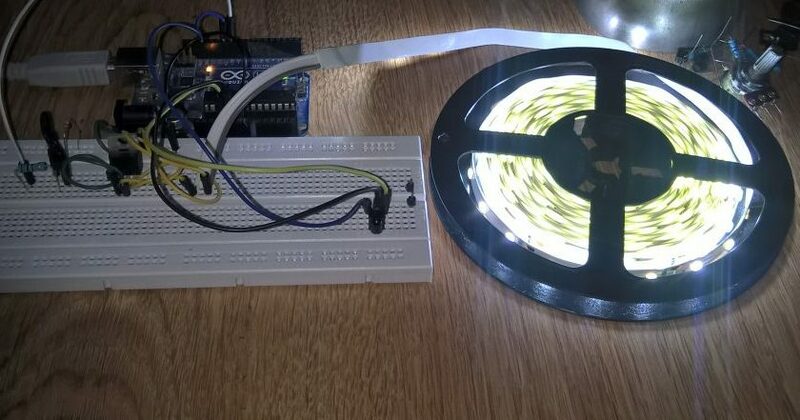 This control is made by light and protect the atmega from eventual defect in the part of mosfet. 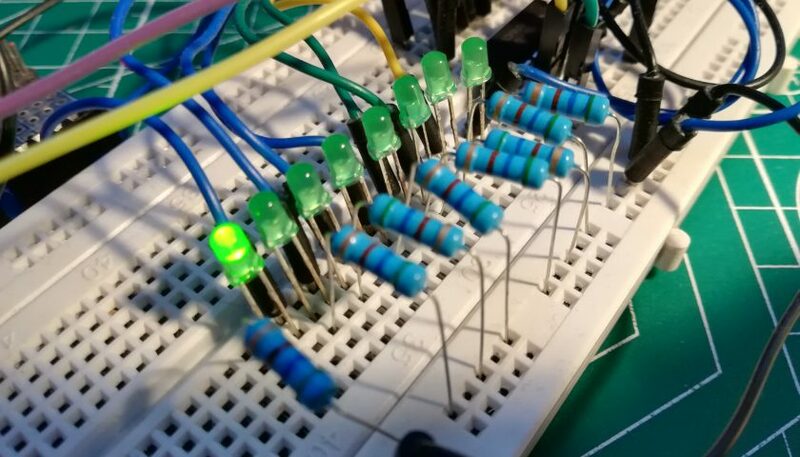 The signal comes from atmega’s pin in optocoupler and comes out through the optocoupler transistor and goes to the mosfet, which copy the PWM signal from the atmega. The 10k resistor and the transistor of optocoupler make a voltage divider, so when the transistor is polarized (like a closed contact) and mosfet is blocked (lamp off), when the transistor is blocked (like a open contact) the mosfet receive on gate 12 volts and it is polarized (lamp on). If we have a p channel mosfet the situation was reversed. Because the 1.4 Amps flows through a small piece(mosfet) it will be heating up, so we have to mount a radiator on it. We use also a radiator from a PC power source. 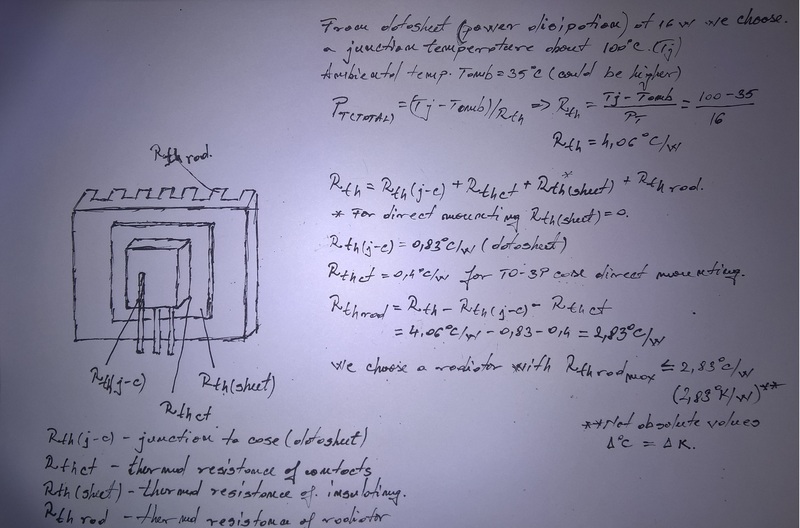 More detailes about radiator calculus, even a online calculator for electronic devices you can find here, here and here. 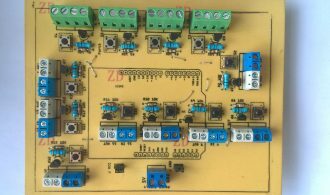 All the parts we have mounted on a PCB created like in this post or a prototype board. 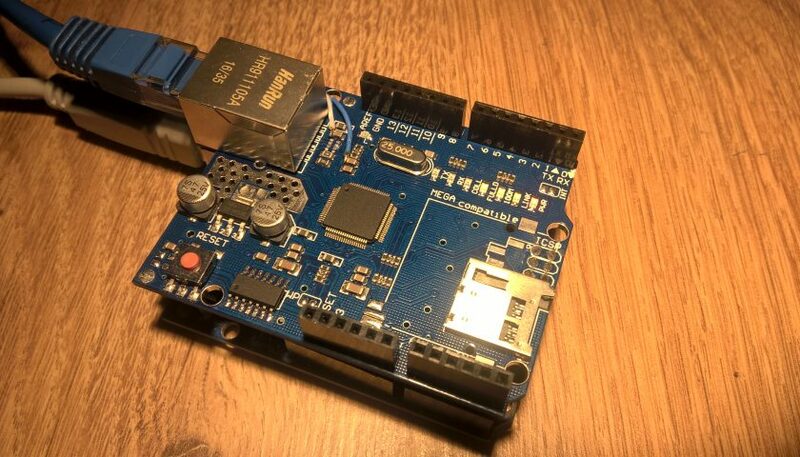 Of course the entire project can be made with an arduino, just mount the optocoupler on the pin 9.